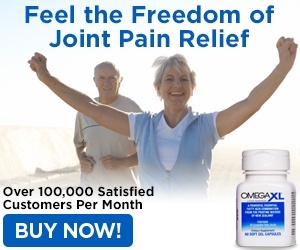 Omega Xl has minimized stiffness in knees and provided more flexibility. I have been taking Omega XL for over one year now and I am very pleased with this product (recommended by friend). I have a family inherited degenerative arthritis which has affected my knees the most; due to all the downhill skiing, running and aerobics I used to do. I don't feel as stiff and have noticed more flexibility when I ride my bicycle. It's also eased the arthritic stiffness/aches in my fingers. Their customer service is great, with helpful/knowledgeable staff. They worked with me on the cost as I didn't think I could afford it once the trial period was over. Thank you, Great Health Works! Mary W.
Review #989637 is a subjective opinion of User989637.